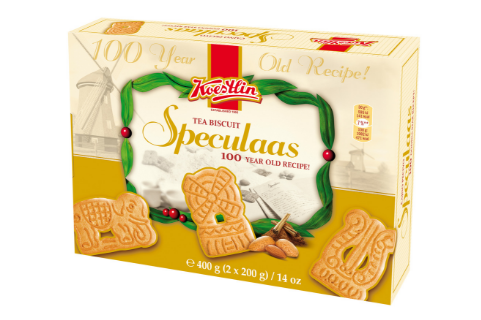 Koestlin is one of the few manufacturers in the world who has the honor to produce this exclusive product following a traditional Dutch recipe. These biscuits will satisfy even the most demanding palates; try them once and you will be faithful to them forever. WHEAT flour, sugar, palm fat, roasted ALMOND 5%, powdered whey (from MILK), fat reduced cocoa powder, raising agent ammonium carbonates, spices. May contain soya, peanut and nuts.